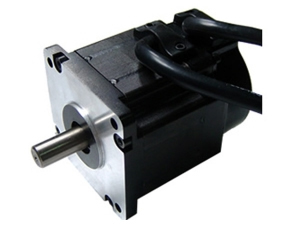 Dc servo motors are normally used as prime movers in computers, numerically controlled machinery, or other applications where starts and stops are made quickly and accurately. 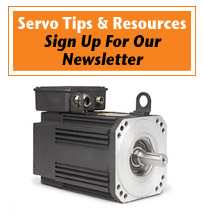 Servo motors have lightweight, low-inertia armatures that respond quickly to excitation-voltage changes. In addition, very low armature inductance in these servo motors results in a low electrical time constant (typically 0.05 to 1.5 msec) that further sharpens servo motor response to command signals. Servo motors include permanent-magnetic, printed-circuit, and moving-coil (or shell) dc servo motors. The rotor of a shell dc servo motor consists of a cylindrical shell of copper or aluminum wire coils which rotate in a magnetic field in the annular space between magnetic pole pieces and a stationary iron core. The servo motor features a field, which is provided by cast AlNiCo magnets whose magnetic axis is radial. Servo motors usually have two, four, or six poles. Dc servo motor characteristics include inertia, physical shape, costs, shaft resonance, shaft configuration, speed, and weight. Although these dc servo motors have similar torque ratings, their physical and electrical constants vary. DC Servo Motor Selection: The first selection approach is to choose a servo motor large enough for a machine that has already been designed; the second is to select the best available servo motor with a specific feature and then build the system around it; and the third is to study servo motor performance and system requirements and mate the two. The final servo motor system design is usually the least sophisticated that meets the performance specifications reliably. Servo motor requirements may include control of acceleration, velocity, and position to very close tolerances. This says that the servo designer must define the system carefully, establish the servo motor's performance specifications, determine critical areas, and set up tolerances. Only then will the designer be able to propose an adequate servosystem and choose a servo motor type.